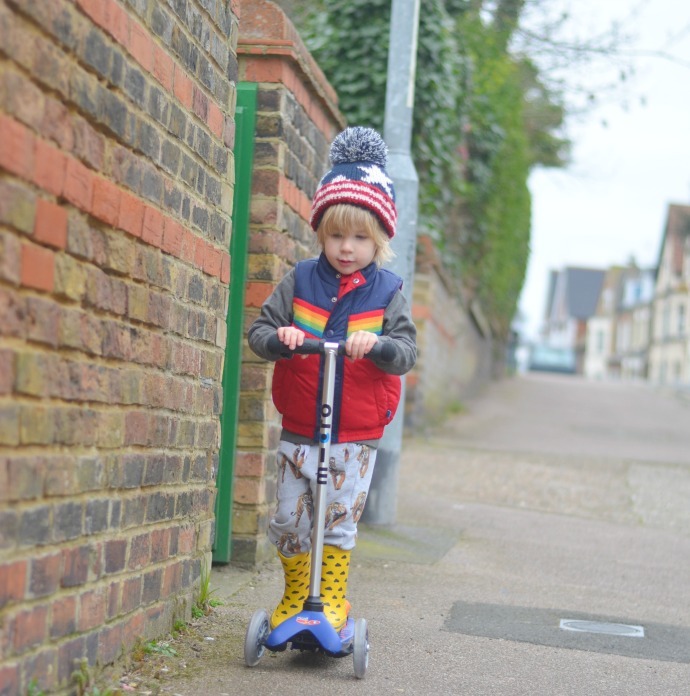 Archie was always one to do his own thing and as soon as he could walk he wanted to assert his independence and walk everywhere. 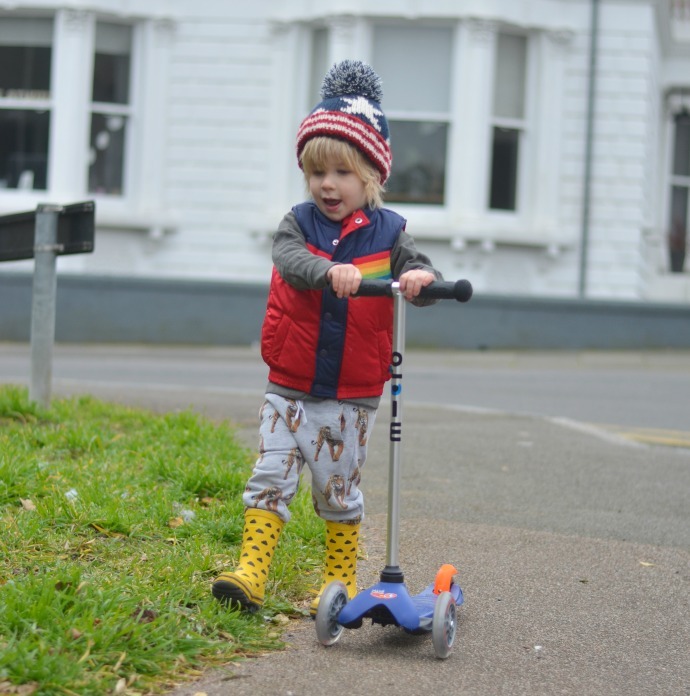 As he turned two, he slowly starting moving back into the buggy though, and as his third birthday approached he became to reluctant to ever get our of it. Not only do I have another baby on the way, he is also a rather heavy boy and pushing Archie and Finn around with my growing bump wasn't easy! I took to the internet and the general consensus seemed to be a scooter. We had one already, but it was old, knackered and rather wonky. The metal wheels were noisy and we seemed to be getting nowhere. I went back to instagram and asked for scooter suggestions, Micro Scooter seemed to be the recommendation and then it was trying to find the best deal. If you haven’t heard of it already, Flubit.com is an online marketplace with over 40 million discounted products available. Unlike other “daily deals” sites, it allows you to get a better price on the stuff you actually want – you just give them the Amazon.co.uk link of the item you want to buy and they’ll get it for you cheaper through one of their online retailers. The same exact item, just cheaper! 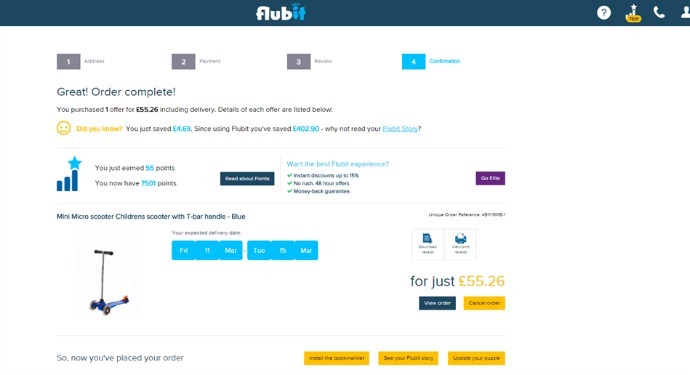 No one is exactly sure of how they do it, but Flubit.com say their platform “empowers consumers to demand a discount on items they want to buy, and gives online retailers the chance to win more orders whilst protecting their margins.” So it seems like a win-win situation for everyone. Discounts are on average 10% lower, but can be as much as 15% off depending on the product / category. For example, electronics, toys and games, home and garden, film & TV are all typically good categories, although slightly more niche products might not be available at such good discounts – but it’s always worth trying! So if you’re shopping on Amazon why not give them a go? Just find the item you want to buy, copy the product web address and paste it into Flubit.com. First you will get an “instant offer”, typically only a couple of percent cheaper. If you don’t need to order the item right then and there, you can choose to wait for a couple of hours for a better deal. I put in the URL from Amazon for the Micro Scooter and managed to save myself nearly £5 by shopping through Flubit (an 8% discount). The scooter arrived soon and it is safe to say that Archie hasn't been back in the buggy since! It is always under his foot or in his hand, and he is determined to scoot everywhere. Disclaimer : I was compensated for my time writing this post. Oh I love it! Always looking for an Amazon alternative. Thank you! What a lovely idea!! My girls really want a scooter but we've not given in just yet. I have not heard of this before but I am desperate to try it out. I find Amazon good value already so this is amazing.